David Henry Hwang is an American dramatist whose work includes the plays M. Butterfly, Chinglish, Yellow Face, Kung Fu, and Golden Child, as well as the Broadway musicals Aida (co-author), Flower Drum Song (2002 revival), and Disney’s Tarzan. America’s most-produced living opera librettist, he has written four works with composer Philip Glass, including 1000 Airplanes on the Roof. In September, the San Francisco Opera will present the World Premiere of Mr. Hwang and Bright Sheng’s Dream of The Red Chamber, helmed by Stan Lai. Mr. Hwang has won a Tony Award and three OBIE awards, and he has twice been a finalist for the Pulitzer Prize in Drama. His screenplays include Possession (co-writer), Golden Gate, and M. Butterfly. He is a writer/producer for the TV series The Affair, and he is currently developing an original series, Shanghai. Mr. Hwang won the 2011 PEN/Laura Pels Award, the 2012 Inge Award, the 2012 Steinberg “Mimi” Award, a 2014 Doris Duke Artist Award, and the 2015 IPSA Distinguished Artist Award. He attended Stanford University and Yale Drama School and was recently the Residency One Playwright at New York’s Signature Theatre. Mr. Hwang holds honorary degrees from Columbia College, Chicago, Dr. of Letters, 1998; American Conservatory Theatre, MFA Acting, 2000; LeHigh University, Dr. of Letters, 2011; USC, Dr. of Literature, 2013; SUNY Purchase College, Dr. of Fine Arts, 2015; and received a Dr. of Letters from Williams College earlier this month. He directs Columbia University’s School of the Arts M.F.A. program in playwriting. New appointments to the American Theatre Wing’s Advisory Committee include Robyn Coles, Alia Jones-Harvey, Lucy Liu, Patti LuPone, Charles Tolbert, Liesl Tommy, Sergio Trujillo, and Lia Vollack. For nearly a century, the mission of the American Theatre Wing has been to serve and support the American Theatre by celebrating excellence, nurturing the public’s appreciation of theatre, and providing unique educational and access opportunities for both practitioners and audiences. Best known for creating The Antoinette Perry “Tony” Awards®, now presented with The Broadway League, the Wing has developed the best-known national platform for the recognition of theatrical achievement on Broadway. Yet the Wing’s reach extends beyond Broadway and beyond New York, with educational and media work that offers the very best in theatre to people around the world. In addition to its various media programs and a host of other online resources, The Wing sponsors many activities, all dedicated to recognizing excellence and supporting education in theatre. The Wing’s programs include the Theatre Intern Group, a career development program for young professionals; SpringboardNYC, a two-week college-to-career boot camp for young performers moving to NYC; and the Jonathan Larson® Grants, given annually to honor emerging composers, lyricists and book writers. Visitors to americantheatrewing.org can listen to, watch or download from the Wing’s extensive media collection, and learn more about all of its programming for students, aspiring and working professionals, and audiences who want to learn more about the making of theatre. Follow the Wing on Facebook.com/TheAmericanTheatreWing and Twitter.com/TheWing. 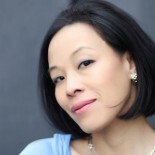 This entry was posted on June 28, 2016 by Lia Chang in Asian American Artists, Entertainment, New York, Press Release, Theater and tagged (MOCA), 2012 Steinberg “Mimi” Award, 2014 Doris Duke Artist Award, Aida, Alia Jones-Harvey, American Theatre Wing, Asian American, Asian American Playwright, ASIAN-AMERICAN ACTORS, Backstage Pass with Lia Chang, Charles Tolbert, Chinglish, David Henry Hwang, James Higgins, Jane Fearer Safer, KUNG FU, Lia Chang, Lia Vollack, Liesl Tommy, Lucy Liu, M. Butterfly, Marva Smalls, Museum of Chinese in America, Natasha Katz, New York Council for the Humanities, Pamela Zilly, Patti LuPone, Robyn Coles, Sergio Trujillo, Tarzan, The Affair, Tony Award Winning Playwright David Henry Hwang, William Ivey Long.